When there is an adult child of an aging parent who is disabled or otherwise dependent there is additional stresses on the aging family unit. 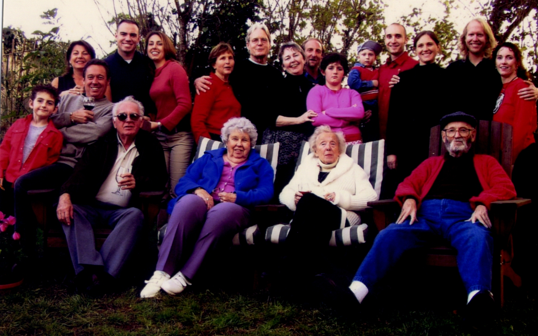 The Geriatric Care Management tool to manage this stress is a whole family approach. For the older parents, there is the concern of who will take care of the dependent child when they cannot. We have an example of that with elderly Mrs. Sterling, who has a special needs son with autism and refuses care because she wants to leave her money to her children, especially for her adult son with special needs. The geriatric care manager who worked with Mrs. Sterling used a whole family approach as a tool to assess this dilemma and get care for the elderly client, plus help the family plan for the care of the special needs adult child. For the midlife siblings, this question is often of equal concern to that of taking care of any older parents. Financial, emotional and logistical issues as well as the specific responsibilities need to be considered by these families, due to the fact that the duration of the care often is longer than the care required for a senior family member. Contacting an elder law attorney to investigate special needs trust is a second step. This is using the continuum of care to help all family member- the aging parent the midlife siblings and the adult child with special needs. What is the “Whole Family Approach”? It is seeing the connections or strings that connect -all the people in the family. Are they weak or strong? A family is like a pond. Adult children, grandchildren, extended family and the older person swim in the water. When the older person has an aging crisis and starts to drown, the ripples move out over the whole family. What a geriatric care manager or aging professional does is use the whole family approach to assess the needs of the whole family – what are those strings -especially the family caregiver- to solve the crisis .The assessment finds the formal and informal supports and uses the continuum of care as tools to pinpoint the supports for everyone and create a plan that meets the needs of the whole family.Watch the You Tube below to discover more. Geriatric care management tools or an aging professional’s tools fill up an entire toolbox. They are like tools in a carpenter’s tool box- a hammer, drill, saw and architectural plans. One of those tools, a very potent one that will make your care plan hold up, is the “Whole Family Approach”. 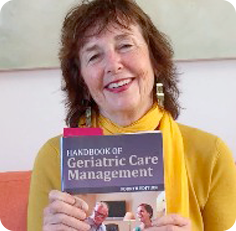 Learn more on this You Tube from my Geriatric Care Management channel.